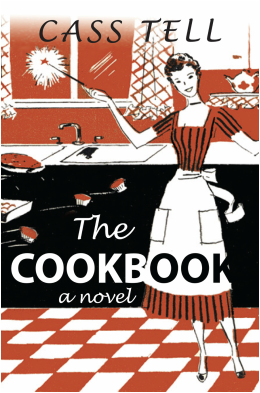 The COOKBOOK is a romantic/thriller interlaced with memories of laughter in the kitchen, of tastes and smells, and how a grandmother lovingly prepared a young girl to face enormous challenges. It is a fast paced yet complex novel of a young woman who is about to have her identity turned upside down. She is caught between romantic feelings for a wealthy investor and a stubborn, quirky private detective. She encounters evil men who seem intent on destroying her, yet she doesn't understand why. As this happens she has flash backs to her old grandmother and aunt who gave her life lessons mixed with folk stories of The Frog Princess and Baba Yaga's Son. This provides her courage as she faces the challenges ahead. Hopefully these discussion questions will enable you to gain new insights into the book. 1.Describe the relationship between Kate and Emma. 2. What were the dangers that Emma and Clara faced? In light of that, do you think they were overbearing in how they raised Kate, or were they justified? 3. Should Emma and Clara have told Kate the truth about their family history? If yes, how would that have impacted Kate in growing up? In what circumstances should parents hold back information about family histories? 3. In the beginning of the book Axel is an independent operator, wanting to investigate Kate’s case on his own. Kate is uncertain about her decision to hire him and wants control of “her employee” and to set priorities. How would you describe their relations in the early part of the book? 4. In the book, Kate reminisces about the happy times in the kitchen with Emma. Besides a time for cooking it was a time for discussion and laughter. It’s where Kate learned values. How can a mother or grandmother’s advice in the kitchen be a way of transmitting culture? Have you personally experienced this or know someone that has? 5. For many people the Betty Crocker Cookbook has been a part of their family history? Has it been part of yours? If not, what other cookbooks have been used by your family and do you have any special feelings about them? Other than being just cookbooks, do they evoke any special memories and emotions and why? 6. As Emma says, "A meal is is more than nourishment. It touches the soul." It also reflects traditions and cultures. What cultures were reflected in the food The COOKBOOK? What is your favorite ethnic food and why? 7. A unique aspect of a meal is that it can facilitate romance. For Axel and Kate, the home cooked dinners allowed them time to relax and get to know each other. And of course Kate’s culinary skills won Axel’s heart, particularly her Piccata al Limone. What is your favorite romantic food or setting and why? 8. It turns out that Chandler is not what he pretended to be? How was he at the beginning and the end of the book? If he's not the ideal man, what is? 9. Describe Kate’s character in the final scene with Chandler. How does that differ from her at the beginning of the book? What do you like best about that scene? 10. Choose two or three adjectives that describe Emma, then two or three adjectives that describe Kate and then two or three adjectives that describe Axel. Explain why you chose this and use examples from the book. 11. Kate carries a history that she knows little about, other than that Emma and Clara came from Eastern Europe. Yet, that hidden history seems to have an impact in defining who she is. How much does place and history define who we are? Is there anything about your family history that defines your identity? 12. The churches of Kate and Axel play a background theme in the novel, one being Orthodox and the other Lutheran. How might this influence one’s character and actions? 13. Do you have a favorite scene or part in the novel? Share your insights with the group. 14. What did you take away from reading The COOKBOOK?